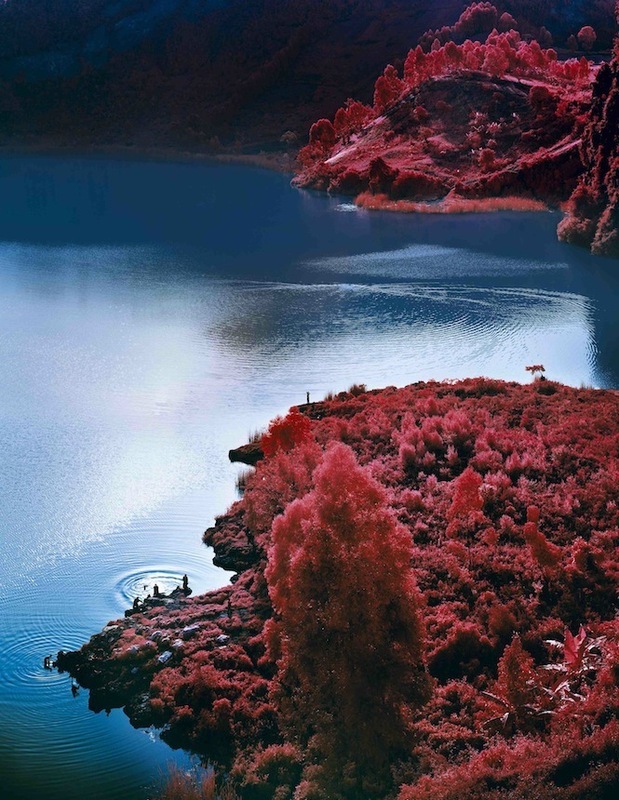 Richard Mosse, Lac Vert. Image courtesy the artist. 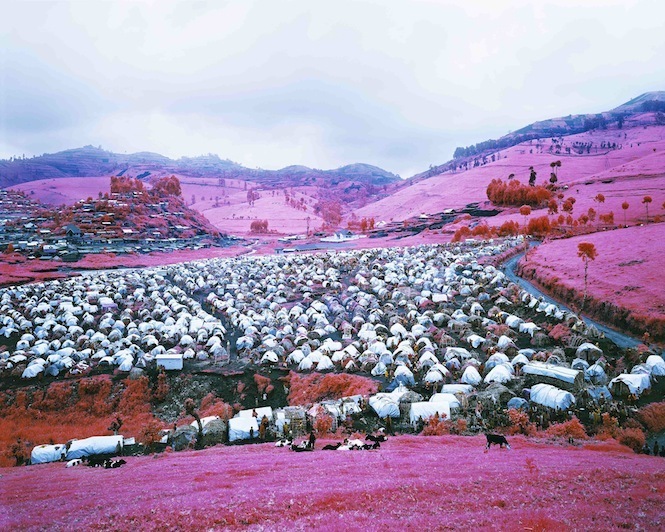 Richard Mosse, Higher Ground. Image courtesy the artist. Richard Mosse, A Thousand Plateaus, 2011. Image courtesy the artist. 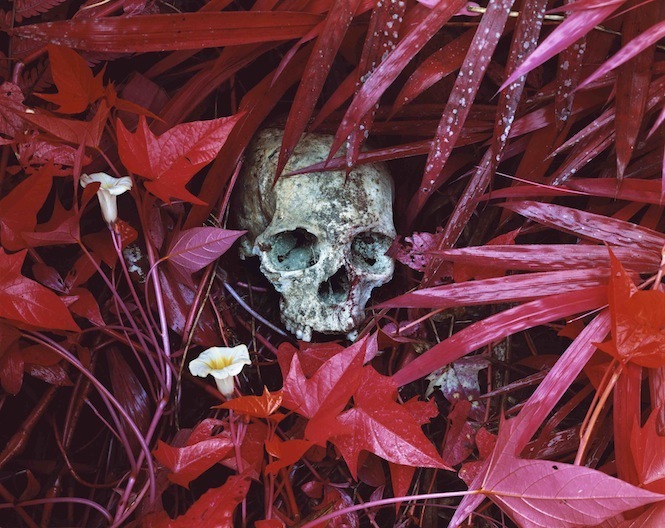 Richard Mosse, Of Lilies and Remains, 2012. Image courtesy the artist. Richard Mosse, Because the Night. Image courtesy the artist. Richard Mosse, Thousands are Sailing II, 2012. Image courtesy the artist. One of the highlights of last year's Venice Biennale was the Irish pavilion and its showing of Richard Mosse's photography and video art of the war in the Democratic Republic of Congo. Mosse has used a special type of camera that imbues the greens from vegetation and camouflage uniforms with a pink hue, thus adding a surreal and dream-like quality to his work. 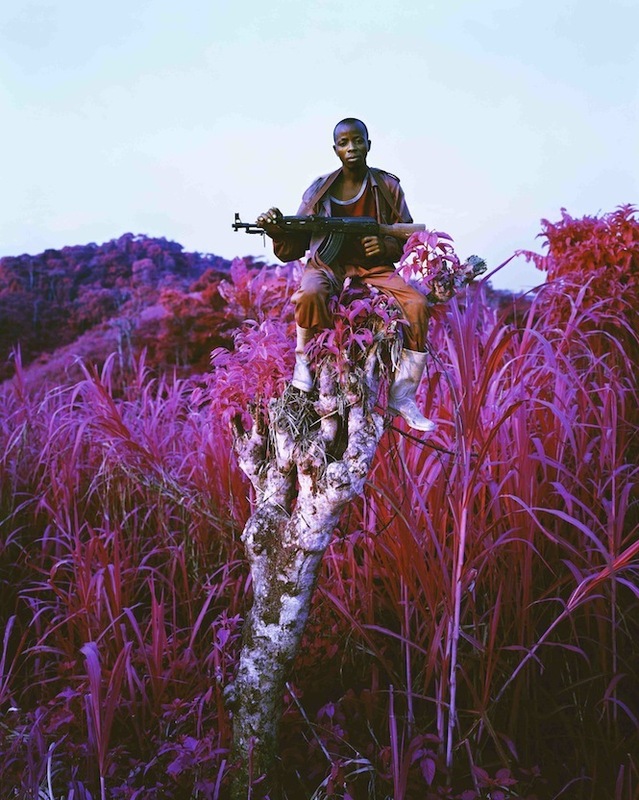 The exhibition opens with a series of photographs that present otherworldly pink landscapes, suggesting Congo as a fantastical place. They act as a reflection of the lack of attention the country garners in the Western press, despite its war having claimed the lives of over five million people. The centrepiece of this exhibition is the 40 minute video work where a pink hued recording takes us from smiling children to showing the aftermath of a massacre. The video deliberately avoids showing coverage of conflict, instead showing the anti-climactic scene of uniformed troops aiming their weapons upriver for an enemy that doesn't arrive, despite the soundtrack hinting that conflict is imminent. The film is shown across eight screens to ensure that visitors feel encompassed by the experience and have to walk around to engage with the film. However, in practice this device becomes rather cumbersome as exhibition visitors get in each other's way. This video of daily life and war in Congo can be harrowing at times, such as when a nurse desperately tries to revive a stillborn baby, but its diversity and shifting scenery ensure it's able to hold the attention for all of its duration. Off the back of this work Mosse has been nominated for the Deutsche Börse Photography prize and based on this exhibition it's clear to see why. The Vinyl Factory and Edel Assanti present Richard Mosse: The Enclave at The Vinyl Factory Space at the Brewer Street Car Park, W1F 0AL. See the video realised for the exhibition by Dazed. Admission is free and the exhibition runs until 26 April. For more works from the Venice Biennale, visit the immersive Welcome to Iraq at South London Gallery.